It’s so crazy I’m in my 30th week of pregnancy and that I can talk about his arrival in single-digit weeks. (yes, I’m aware he could come later than 40 weeks, but let’s just ignore that fact). 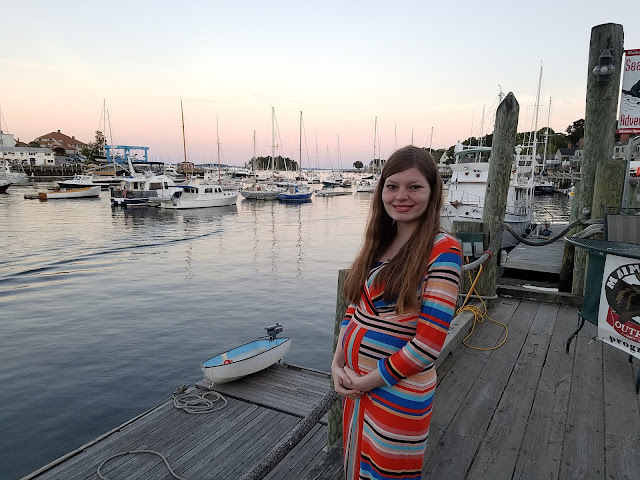 Today, I wanted to share a bit about my second trimester with y’all. 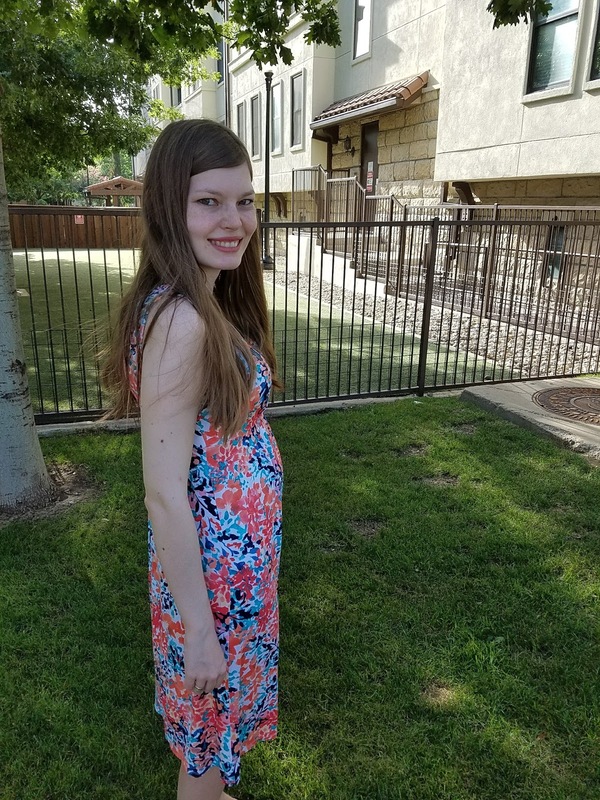 The second trimester was so busy for us! I was right at 14 weeks when we moved, which was rough because I was still super sick. 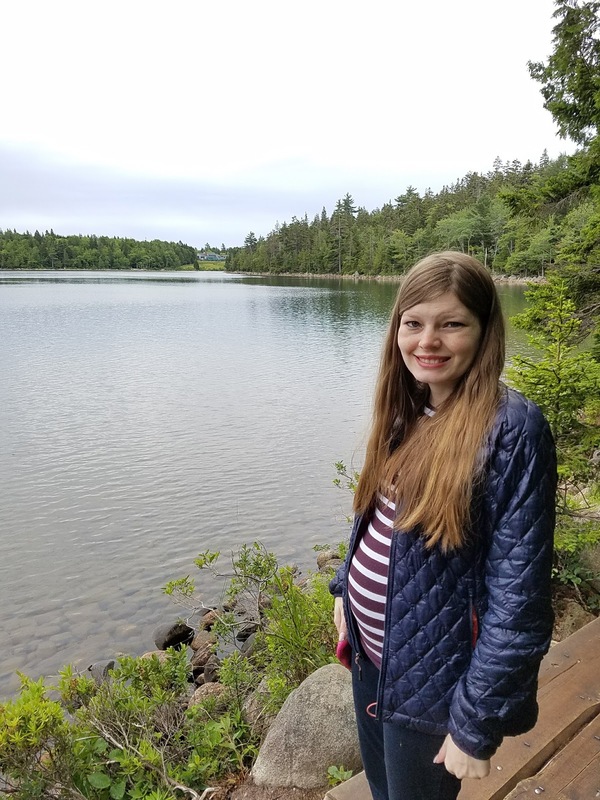 Once I got over the extreme nausea (around 17 weeks, though it came back quite a few times after that), I spent weeks dealing with pregnancy migraines, which I didn’t even know were a thing until my doctor told me it’s normal. Right around 23 weeks, I started finally feeling better until Chris got me sick for a week with a bad cold. Thankfully, after that, I’ve been feeling much better with just a rough day here and there. One of the best parts of the second trimester was feeling our little one kick for the first time! It’s so fun to think back on those first subtle kicks now that he moves all the time. Chris was so excited when the kicks got strong enough for him to feel! It was also the best to share our news with everyone, finally! We waited a little longer than most do because I wanted it to coincide with Mother’s Day, but it’s been so nice to be able to talk about it with our friends and family! We also loved finding out the gender! We didn’t do a big announcement with that (except on the blog! ), but we are beyond excited for our little boy! When I said we were busy in the second trimester, I wasn’t kidding. My brother-in-law got married, my parents had their housewarming party the next day, three out of four of our parents had birthdays, my brother came home from Europe, we had a gender reveal, several big residency events, and we capped it off with our babymoon to Maine, where we celebrated our birthdays and anniversary! That’s just a run down of the biggest events, too. I haven’t been one to take a bunch of photos, but towards the end of the second trimester, I’ve started showing enough for strangers to comment on it. One of the funniest stories was a few days after our trip when we went to get ½ price cheesecake at The Cheesecake Factory. It was pretty busy, so I went to get a beeper before sitting down on the bench. The lady next to me asked “how much longer do you have?” I told her 15-20 minutes because I thought she meant with getting a table, and she was like “uh, I meant with your baby.” It was so hilarious! As for now, I am excited for all the things coming up in the third trimester! We recently had our first baby shower and will be having another one soon. My best friend’s bachelorette party is this weekend, which is super exciting since I’ve been planning it for the last few months! Our maternity photos are coming up soon, too. We’ve started working on the nursery, and Chris set up the crib last weekend. I’m getting pretty uncomfortable and am having more trouble sleeping. I also miss going on longer walks because these 100-degree temperatures are too hard for walks. We’re also pretty sure we’ve decided on a name! We’re not planning on sharing it with anyone, though, (not even our parents) just in case we do change our minds. I’m excited to share more about the name once he’s born! Oh how exciting, almost time. You look so adorable. Hope the next few weeks fly by. I know being in the third trimester and it being hot and humid is no fun. My friend just gave birth last week, and she said the last few weeks were really uncomfortable. Stay strong! You seriously have the cutest little baby bump ever, and I'm so glad that your nausea and sickness has subsided! You really have had a busy second trimester with everything going on, and that's so exciting that y'all are getting things set up with the nursery! Are you sharing what your theme is going to be? And I totally understand not wanting to share in case you change your minds, but if it makes you feel any better I still have a baby video that says "Stacy's Baby Video" because my parents changed my name at the last minute! Anyways, I'm glad that things are going well, and your cute little guy will be here before we know it! LOL at thinking the lady thought you meant how much longer until your table at Cheesecake! It sounds like you had such a busy, but fun second trimester-- I'm sure it was so nice once most of the sickness went away. You are the most adorable pregnant lady! I can't believe all the things you did in the second trimester! Hopefully this last one is filled with a little downtime and lots of nesting ;) Can't wait for his arrival for you guys!! I love the striped dress you're wearing in the first photo. The Cheesecake Factory story is too funny! Hope you manage to stay comfortable and get some sleep these next couple months. WOW... I cant believe how close you are getting. I bet it'll fly by too!!! Love reading these updates. So happy for you and its so close now. The cheesecake factory story is funny!! You look great! So exciting for the maternity photos coming up and getting started on decorating the nursery! Glad to hear you are finally feeling better! Must be hard with all the heat. You look fabulous though! You are radiant, lady!! Can't believe you're going to be in the single digit weeks!! I feel like it's gone quickly! So soon!! Gosh being pregnant during the summer does sound so uncomfortable... My BFF is pregnant and due in the next two weeks and she has been so miserable; I know she's glad she isn't in the Texas heat! Yay for picking out a name! So exciting! We waited until ours was born before announcing her name too! :) Olya, you are going to be meeting him SO soon! I'm so so excited for you! Also, I'm so glad that you are feeling better now! Glad to hear you are feeling better!!! The third trimester was definitely the most uncomfortable for me. It makes it a little easier knowing that you just have weeks left! How exciting that you guys have the crib up! Picking out names is so hard! We had our girl name figured out pretty early on, but we never did settle on a boy name. Probably a good thing we had a girl, right? You look wonderful and hope you are feeling well!